I must admit that I was upset when I heard that another film adaptation of F. Scott Fitzgerald’s The Great Gatsby was due out this year. It is one of my favorite novels of all time and it’s already been loused up a handful of times including the 1974 film starring Robert Redford and Mia Farrow. When I heard that Baz Luhrmann was directing the new Gatsby it I got nauseous. I reread the book (for the third time), bought a movie ticket some days later and prepared myself for a [very] colorful bungling of one of the most dutifully celebrated American novels. A lot of my frustration can be summed up by the Queensboro Bridge scene which had me shifting uncomfortably in my theater seat. Nick Carraway, played this time around by the ever-boyish Tobey Maguire, mouths the prose of Fitzgerald: “The city seen from the Queensboro Bridge is always the city seen for the first time, in its first wild promise of all the mystery and the beauty in the world.” The problem is that Jay-Z is blasting as the car races over the bridge and the camera makes impossible CGI’ed swoops. Aside: As the music’s volume is peaking a convertible driven by an unhappy looking white man passes by with a half a dozen African Americans dressed to the nines, partying wildly in the back. I get the ironic anti-racist sentiment, but we’re talking about a book that is so heavily focused on classism and even racism present in the 1920s (think Tom Buchanan’s obsession with Goddard’s The Rise of the Colored Empires) that this just comes off as utterly ridiculous. I expected both of the film’s major flaws from Luhrmann. He praised Jay-Z in an interview insisting that he “totally nailed” [the soundtrack]. I’m not sure exactly what he nailed it to. Most of the soundtrack is so loud and incongruous with the period piece that it is covering that it is at the least very distracting and at the worst infuriating. If the crowd is foxtrotting and you’d like to add an element of modernity to the film, why not have a modern musical artist write a song to foxtrot to? Instead the movie’s soundtrack is inappropriately overpopulated by rap and hip hop to the point where Jay Gatsby takes a backseat to Jay-Z. A more fitting title for the film might be The Great Carter. Luhrmann once again shows his penchant for garish cinematography. Admittedly the party scenes at Gatsby’s mansion are gorgeous and vibrant; however, the entire movie feels like some perverse pageant, not unlike Luhrmann’s Moulin Rouge. At one point in the film an advertisement for The Ziegfeld Follies flashes in Times Square; the over-the-top choreography throughout feels like something out of a musical or stage show, not a treatment of a serious novel which ultimately detracts from the film once again. The camera work is equally gaudy with unnecessary zooming shots across the bay from East Egg to West Egg and the slow-motion arc of Myrtle’s flight through the air with the T.J. Eckleberg billboard in the background. Another turnoff is the liberties that Luhrmann took with the screenwriting. First of all, Nick Carraway is narrating the story years later from what is intended to be the 1930s version of a Betty Ford Clinic. Why? Carraway is also, apparently, the author of [The Great] Gatsby. There are also some character omissions which, though inconsequential in the grand scheme of things, are annoying; Daisy and Tom’s daughter is all but written out and Jay Gatz’ father is nowhere to be found. Obvious flaws aside, the movie is saved from being a total disaster with better than average acting. 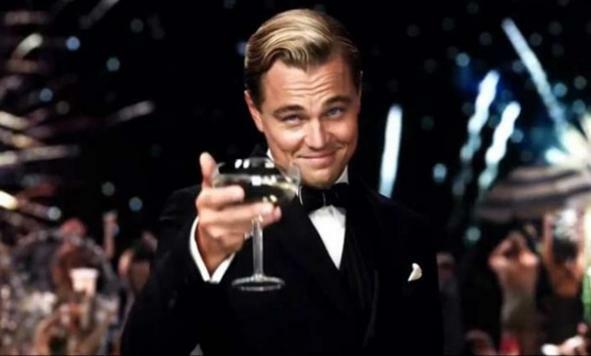 DiCaprio is an unsurprisingly decent Gatsby and his delivery of the purposely awkward “old sport” may be the best to date. Though very much different than who I would have envisioned for Nick Carraway, Tobey Maguire brings some charm to his role. Laughably bad in the first half of the movie, Carey Mulligan redeems herself with a superior performance in the second half. Of all the actors Joel Edgerton stood out with his rendition of Tom Buchanan; he was able to convey the swollen ego balanced with the threatened alpha male as seen in the Plaza Hotel scene. 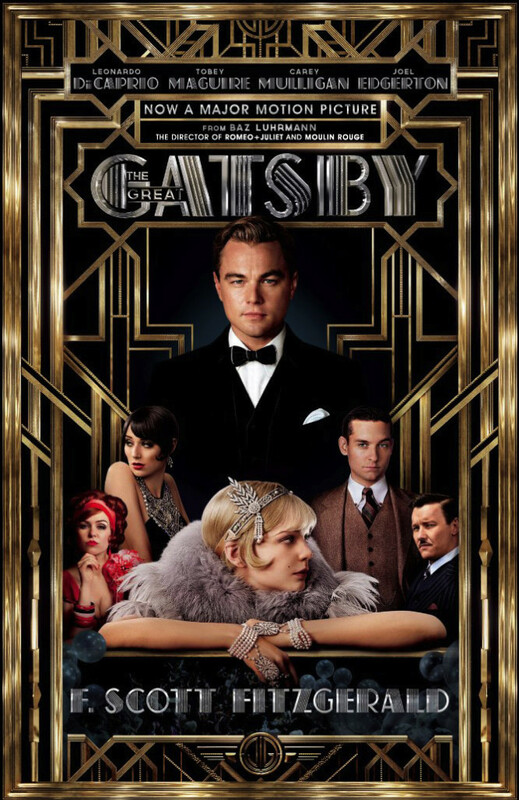 In short Baz Luhrmann’s The Great Gatsby narrowly exceeded my expectations but still left much to be desired. If he chooses to pursue more literary treatments I suggest that he stick to magical realism; I can honestly say that I think he would success in that capacity.